The New York Racing Association, Inc. (NYRA) announced today the opening of registration for the Saratoga Challenge and the Fourstardave Challenge live money handicapping challenges to take place this August at Saratoga Race Course. The Saratoga Handicapping Challenge will take place on Friday, August 10. The entry fee is $1,000, of which $500 will go to the prize pool, and the remaining $500 comprising each participant's bankroll. All contest eligible races will be from the August 10 race card at Saratoga Race Course. 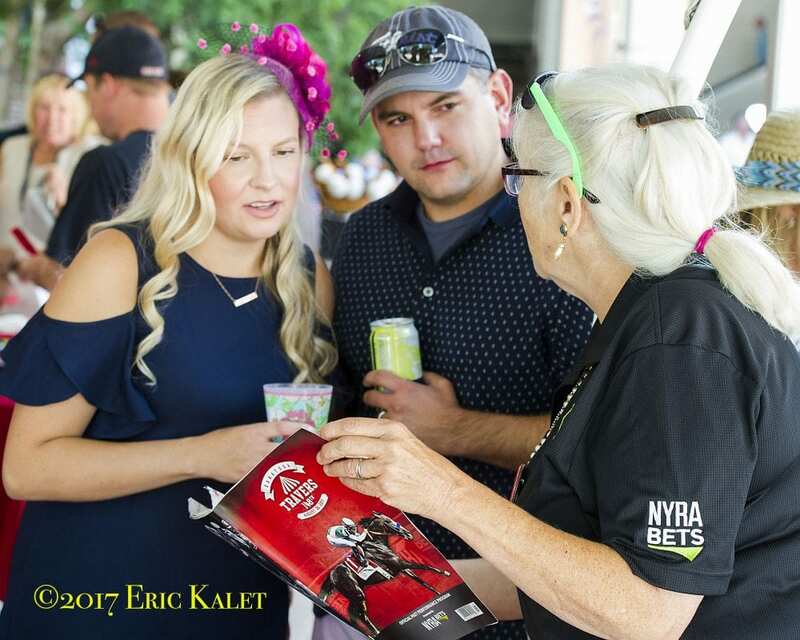 In addition to a minimum guaranteed first-place prize of $15,000, the Saratoga Challenge will also offer one seat, including entry fees to the 2019 Belmont Stakes Challenge and three seats to the 2019 National Horseplayers Championships. The Fourstardave Challenge is set for Saturday, August 11. It carries an entry fee of $2,000, with $1,000 towards the prize pool and the remaining $1,000 comprising each contestant's bankroll. With a minimum first-place prize of $25,000 the day's contest races will all be taken from the August 11 card at Saratoga. In addition to the first-place prize, the Fourstardave Challenge will offer one seat to the 2019 Belmont Stakes Challenge and five seats to the 2019 National Horseplayers Championships. Online registration can be found at NYRA.com/challenge. Both challenges will be open to the first 165 individuals to register. Horseplayers can also directly qualify into the Saratoga Challenge and Fourstardave Challenge through qualifiers hosted at Horsetourneys.com and DRF.com. This entry was posted in Horseplayers and tagged fourstardave challenge, Handicapping, horseplayers, nyra handicapping challenge, saratoga challenge by Najja Thompson/NYRA. Bookmark the permalink.